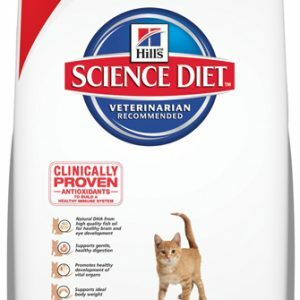 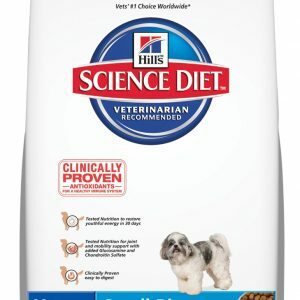 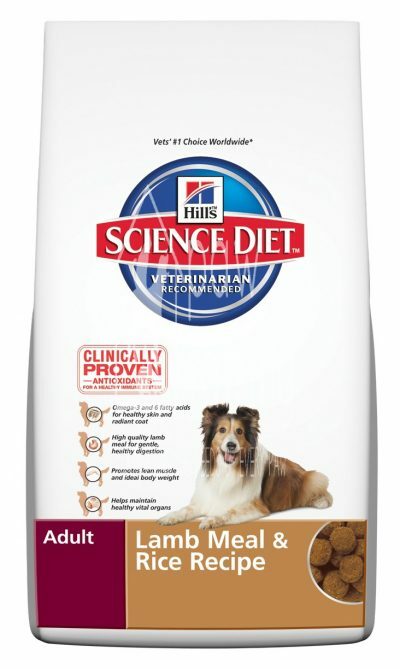 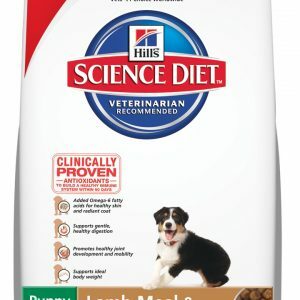 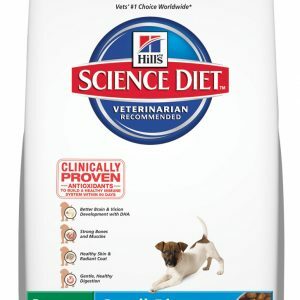 The Hill’s™ Science Diet™ Adult Range 1 – 6 years of age. 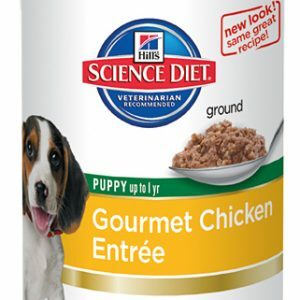 When a puppy reaches adulthood, owners often switch to grocery store petfood brands that may not adequately meet their dog’s requirements to keep him in peak fitness. 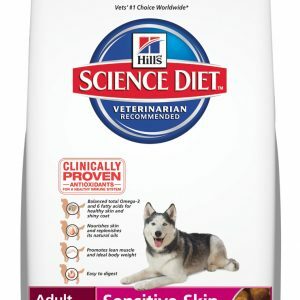 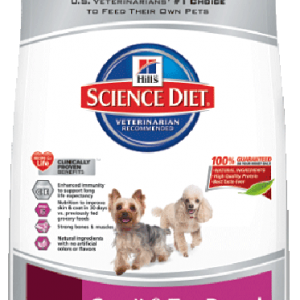 Recommended For Adult dogs 1 – 6 years of age. 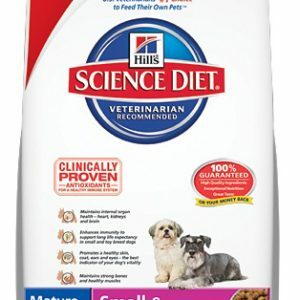 Adult Lamb Meal & Rice Recipe Precisely balanced nutrition to maintain lean muscle and promote digestive health. 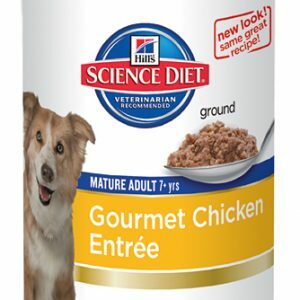 Ingredients: Lamb Meal, Brewers Rice, Rice Flour, Ground Whole Grain Wheat, Ground Whole Grain Sorghum, Corn Gluten Meal, Cracked Pearled Barley, Animal Fat (preserved with mixed tocopherols and citric acid), Dried Beet Pulp, Soybean Oil, Chicken Liver Flavor, Flaxseed, Potassium Chloride, Iodized Salt, Choline Chloride, Vitamin E Supplement, vitamins (L-Ascorbyl-2-Polyphosphate (source of vitamin C), Vitamin E Supplement, Niacin, Thiamine Mononitrate, Vitamin A Supplement, Calcium Pantothenate, Biotin, Vitamin B12 Supplement, Pyridoxine Hydrochloride, Riboflavin, Folic Acid, Vitamin D3 Supplement), Taurine, minerals (Ferrous Sulfate, Zinc Oxide, Copper Sulfate, Manganous Oxide, Calcium Iodate, Sodium Selenite), Preserved with Mixed Tocopherols and Citric Acid, Beta-Carotene, Rosemary Extract.